Hi, beer friends, it’s been a while. So let’s just jump right in – here are some great beers I’ve drunk since last we met. 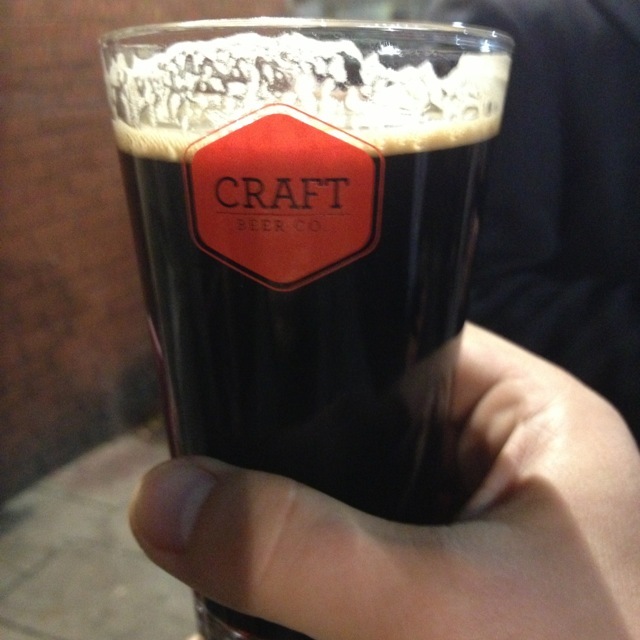 Crafty Jane (Ilkley, ABV 4.7, Sweet Stout) – A special brew for the opening of Craft Beer Co. Brixton that’s now available at other pubs of the Craft family (i.e. Cask, Craft Beer Co. Clerkenwell) as well. It’s branded a Cranberry Milk Stout, a somewhat unusual combo. I wasn’t too impressed at first, it had a nice generic berry sweetness to it but lacked depth – but boy, did it open up as it became warmer (turned out it just suffered from that over-coldness common to keg beers)! The slightly acidic cranberry flavour came to the fore and was nicely complemented by the creamy notes from the lactose. Very well balanced sweet/tart, with a lot of classic roasty stout flavours in the background. 4/5, though remember to let it warm up a bit. Lambeth Walk (By the Horns, ABV 5.1, Porter) – By the Horns scores again with this (partly) style-typical porter: lots of nice clean roast flavours, mostly coffee and burnt toast, but also some nuts and berries – you almost feel like you’re drinking muesli at times (burnt, bitter muesli, of course, but you know what I mean) – with a strong tobacco/ash bitterness at the end. Very dry, almost woody, very drinkable, instantly one of my top London porters (though it’s hard to compete with Fuller’s London Porter and Kernel’s India Export Porter). 4/5. 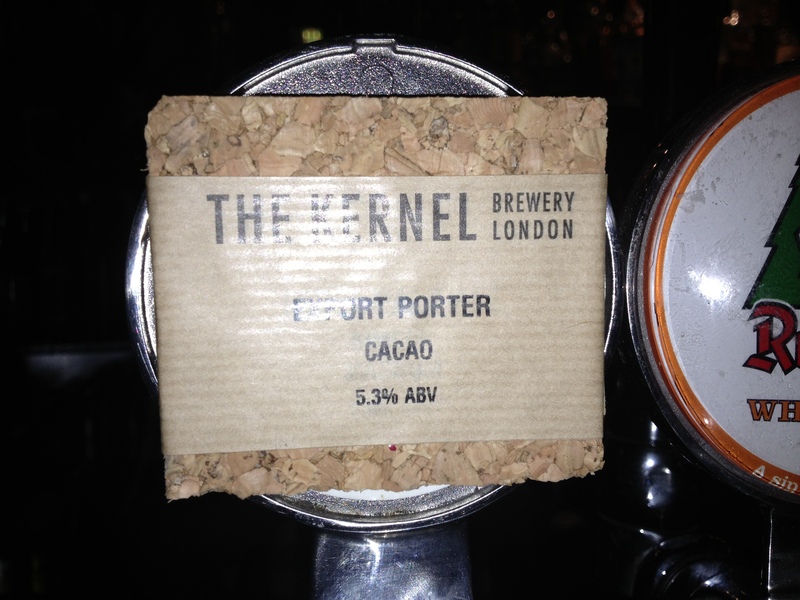 Speaking of which, Kernel has recently released their Export Porter Cacao (ABV 5.3 Cocoa Porter), there’s a few kegs around discerning craft beer bars around London. Unsurprisingly, it’s a stunner. It has that combo of roast coffee and chocolate coupled with the dry, somewhat musty, earthy bitterness that’s characteristic of the regular India Export Porter, but with the added cocoa nibs the (dark) chocolate gets turned up to eleven and adds both a hint of sweetness as well as a deeper, more complex bitterness. Had this with some dark chocolate; that was ten kinds of awesome, highly recommended. 5/5, get it while you can. 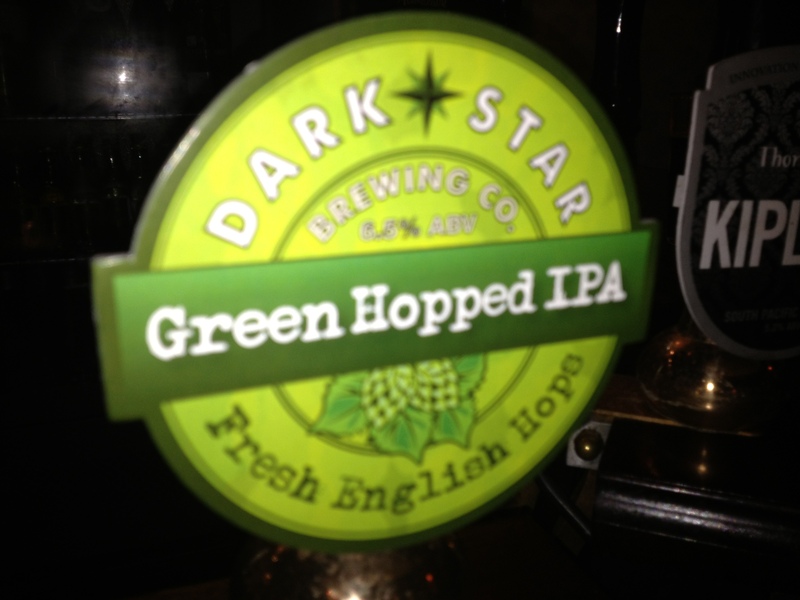 And just so you don’t think I only have love for the dark stuff, Dark Star’s seasonal offering Green Hopped IPA (called Green Hop IPA when they bottle it, I think; ABV 6.5, English IPA) is one of the better fresh-hopped beers I’ve had, ever: the English hops really come through, it’s very earthy, cellar floor/forest floor notes, good solid and very “green” bitterness, coupled with that typical English creaminess/butteryness. The hops-and-malt combo in this one is hard to beat, plus it’s super fresh and was very well kept (at Craft) when I had it. 4.5/5. 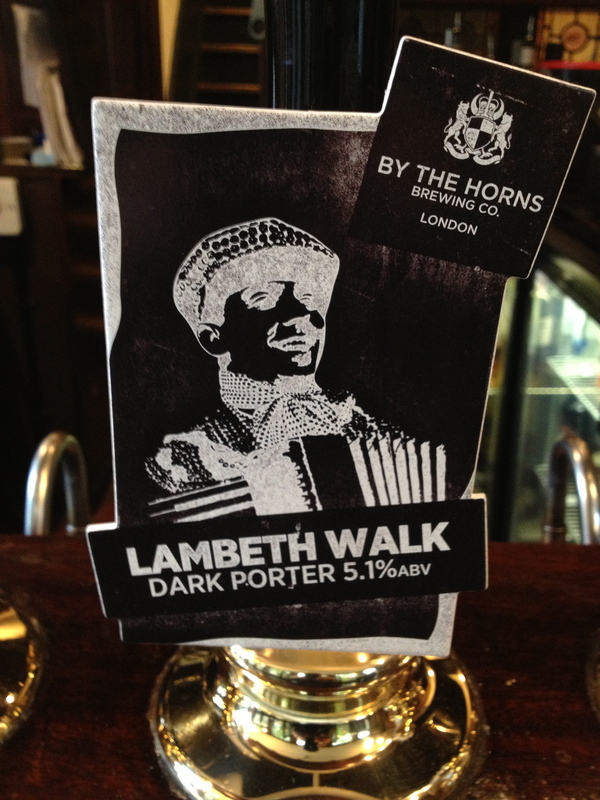 Posted on October 26, 2012, in Review and tagged By the Horns, Crafty Jane, Dark Star, Export Porter Cacao, Green Hopped IPA, Ilkley, Kernel, Lambeth Walk. Bookmark the permalink. Leave a comment.